So yeah we're up and running and cool and stuff, we've got a fair few games already, some on the planned list and some partially added, we have a build world for anybody to build game maps in, and did I say it's a cool server? Basically build an awesome arena for any game it can be christmas themed but doesn't have to be. added /join for all games e.g. /join bat /join paint etc. 5) if you constantly build you could get SOME voxel powers and compass TP. Last edited by frogman786 on Sun Dec 22, 2013 2:00 pm, edited 5 times in total. Im guessing this is 1.6.4? 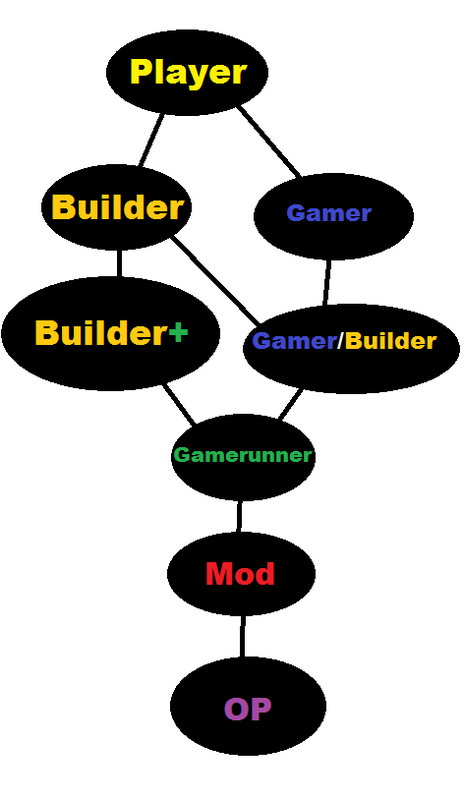 EDIT: hopefully there's a dev build out this week so we should be nearer to 1.7.
the jess 'rank' is not in the list because you have the gamerunner rank with a different tag. Hey guys, I'm just putting up a list of the games that frog mentioned. Potato Hunt - Search for potatoes spread through the map and kill other players for them. This game is basically finished and ready to play. Mine-golf - Drop snowballs (using Q) onto ice and slid them into the hole in as little throws as possible. This game has honor rules - be honest about how many drops it takes to get into the hole. Run from the Beast - One player is a Beast, all other players must find weapons to kill him with. This game has parkour involved. Blitz - From COD Ghosts, the teams kill players for a point and enters the capture zone for 10 points. This game has customized weapons like Flamethrowers, Shotguns, etc. If you guys have any suggestions or something to point out, please reply! Ah, the maps I've made and have yet not decided any games for them. I should make a game - becuase - awesome.